The Ministerial Committee for Legislation approved Sunday the legislation submitted by MK Amir Ohana (Likud), the chair of the Knesset Subcommittee for Personnel in the IDF, to prevent organizations which are funded primarily by foreign governments, such as B'Tselem, from receiving volunteers who are performing their national service. Wages for national service volunteers are split between the government and the organizations the volunteers work for. The bill aims to reduce the government's ties with organizations which receive the bulk of their funding from foreign governments. MK Ohana said: "The purpose of this law is to strengthen the immune system of the State of Israel, which seems to have weakened in recent times, for example, the inability to stop providing approval for the performance of national service with organizations which work clearly and explicitly against Israel, and which are funded by foreign governments." He added that the Ministerial Committee for Legislation acted in accordance with common sense in approving the bill. "This absurdity where B'Teselem benefits from Israeli national service will come to an end." 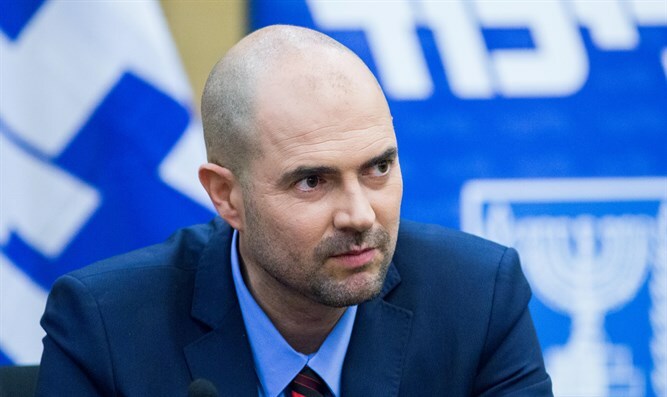 Matan Peleg, the head of the activist organization "Im Tirtzu," praised the bill as necessary to "protect the sovereignty" of the State of Israel from the interference of foreign governments through radical leftist NGOs.